Louis Salamone is CFO at CityMD, a company that’s disrupting the urgent care business. Technology plays a strong role in that disruption. For example, CityMD built a state-of-the-art referral system that connects patients with in-network physicians for follow-up care—all part of its mission of “serving kindness.” To support its rapid expansion and growth, CityMD chose Workday for its financial management, human capital management, and payroll needs. Salamone served in CFO roles in the technology and private equity industries before joining CityMD three years ago. He recently sat down with us in New York, where CityMD is headquartered, to discuss how the CFO role is changing and how the company is leveraging Workday. He also talked about the need for speed—both in the business world and on the race track, where you might find him honing his precision skills in a Porsche. Just how fast is CityMD growing? We’ve gone from one to 55 sites in 5 years, and plan to have 71 by the end of the year. What’s great is we can now replicate site economics for every clinic. Workday Financial Management has been key, as we can quickly set up a new entity, with all the accounting infrastructure in place, for each new location. 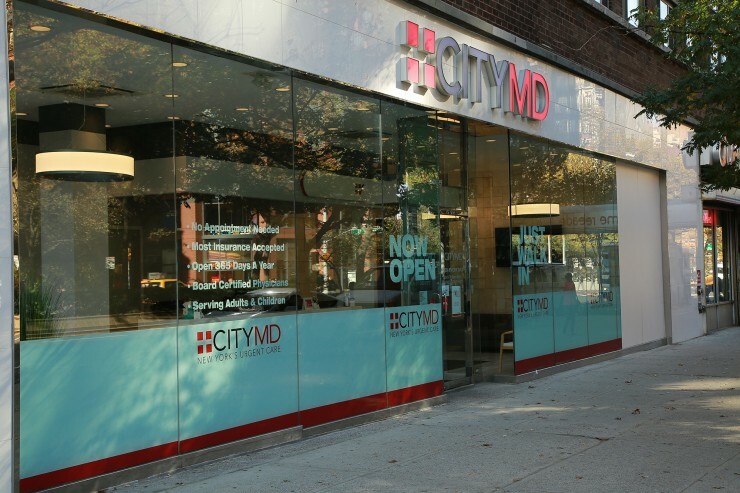 A CityMD clinic on W. 69th Street in New York City. So Workday is helping you move quickly? Yes, in a number of areas. When I first got here, it took 90 days to get the first financial statement done with the help of eight people in accounting, for just four sites. Now six people can close our books in seven business days for 60 sites. We will soon be at five business days. The result is we’re getting relevant financial information into our site managers’ hands much more quickly, which allows us to develop and implement action plans more quickly. Is that why you chose Workday? That’s part of it. When I joined we needed a scalable financial management system, and a coworker took me to visit Workday. I had to think strategically about where we needed to be, the growth we wanted, and whether Workday could get us there. We liked that Workday started with a clean sheet of paper for its finance system. We saw a platform we could grow with, and that wouldn’t require a lot of IT resources to implement and maintain. We also realized the implementation of Workday would require us to get disciplined with a number of processes that were needed at that stage in our growth. It was a relatively flawless implementation that was completed in four months and went live, on time, on Jan. 1, 2015. Based on our success with Workday Financial Management and our strategy of having one end-to end platform, we selected and are deploying Workday Human Capital Management and Payroll, and next we’ll deploy Workday Planning. Going fast seems to be something you enjoy outside of work, too. We hear you also race cars? Yes, it’s my hobby. I race Porsches, at places like Daytona and Sebring and tracks in the Northeast. I enjoy the precision of racing, and being able to do it fairly well. And, it’s fun to go fast. You’ve been a CFO for much of your career. What are the biggest challenges facing today’s CFOs? Government regulation still tops the list for most organizations. Yet there’s also a great challenge in getting the right information to people who need it on a timely basis. This has always been a huge challenge, but it’s intensified because of the internet—it’s changed people’s expectations for information delivery. Just like being able to quickly search something on the internet, they want information instantaneously. For CFOs and their teams, this means getting out financial information with context around it very quickly. For example, our business managers want to know how patient volumes are tracking against their plans and revenue predictions to determine how to manage staffing. Simply put, the finance team’s customers want information much more quickly than they’ve ever received it before. And that’s not just the internal customer—that includes banks, investors, auditors, and more. How does this need for getting more information more quickly impact the finance team at CityMD? We’ve appointed a report guru to create graphical, actionable reports about revenues and costs, and get them in the hands of people. That’s been very helpful. Worktags have helped with that. Our next step is to train people on how to create their own reports. For the finance team, having both our finance and HR data in one system has changed our relationship with HR—we no longer battle about whose headcount information is right. In my role, I’m spending more time with our financial planning and analysis team looking at operations and being part of that planning process, rather than worrying about what we have to do to close the books or the accuracy of numbers. Workday has allowed us to put processes in place to prevent errors in the numbers. 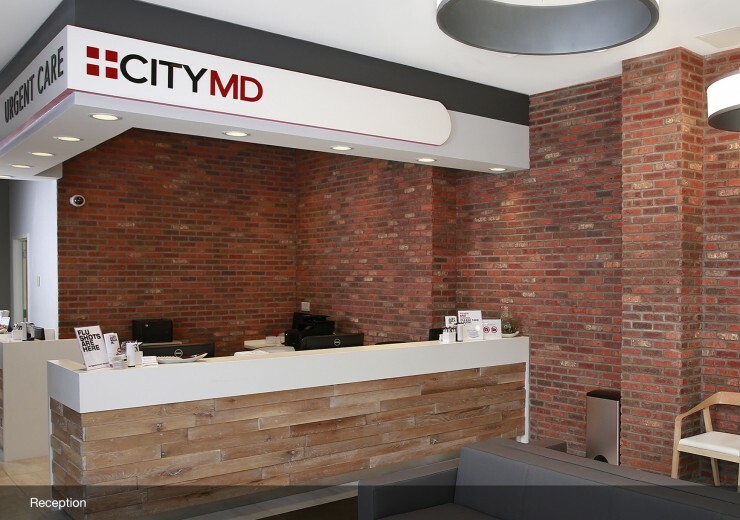 The reception area at a CityMD clinic. What’s your best advice for someone pursuing the CFO career track? Focus on how to use financial information to help the operating side manage the business. The role is becoming much more about understanding the information and metrics to make a business more efficient, and how you can better help drive business strategy.